September 2014 – Aston Shaw is proud to announce that they are sponsoring Sterry Cup winners Acle United FC for the 2014/2015 season. The side compete in the Almary Green Anglian Combination Division and currently sit 5th in the table after as many games. Aston Shaw will be featured in the match programme, which is available to purchase on match days for just £1. They will also have the Aston Shaw logo displayed on the teams kit. The sponsorship will provide a platform for Aston Shaw to promote its Great Yarmouth office, which has recently undergone a rebrand alongside the four other offices in Norwich, Cambridge, Ipswich and Dereham. Dominic Shaw, Director of Aston Shaw commented “I’m extremely pleased that we reached an agreement to sponsor Acle United FC. 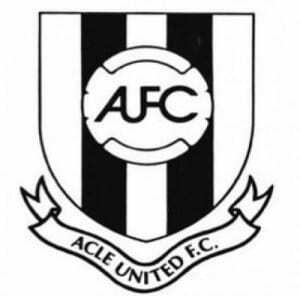 There are a lot of football enthusiasts here that will be keen to follow Acle’s progress throughout the season”. Acle United FC will kick off for their next home game in the cup vs. Long Stratton on Saturday 27th September.